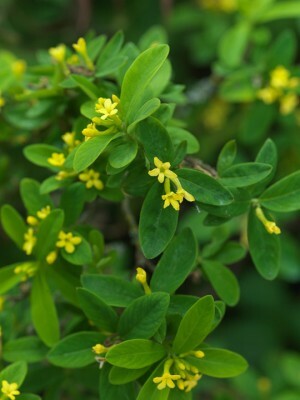 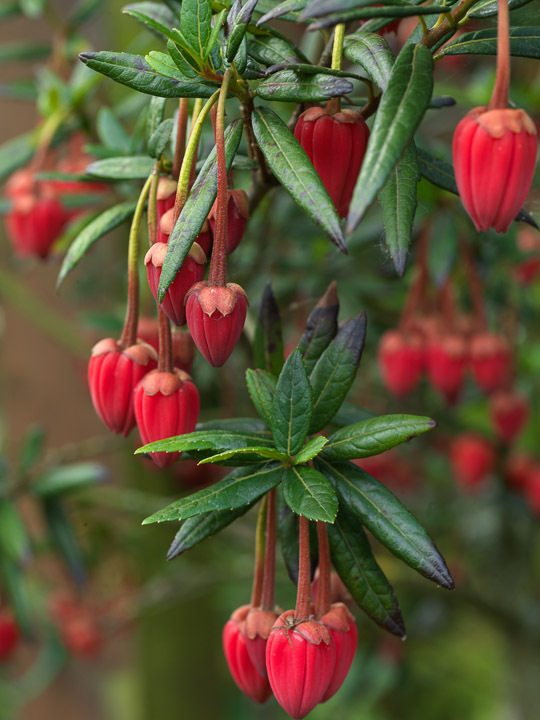 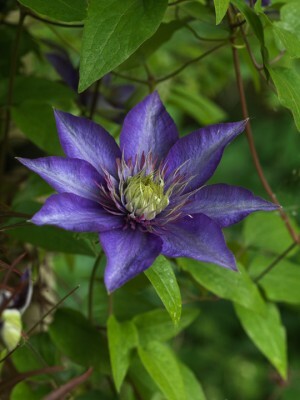 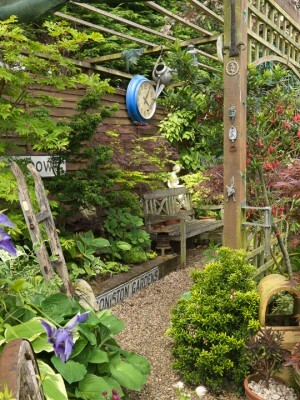 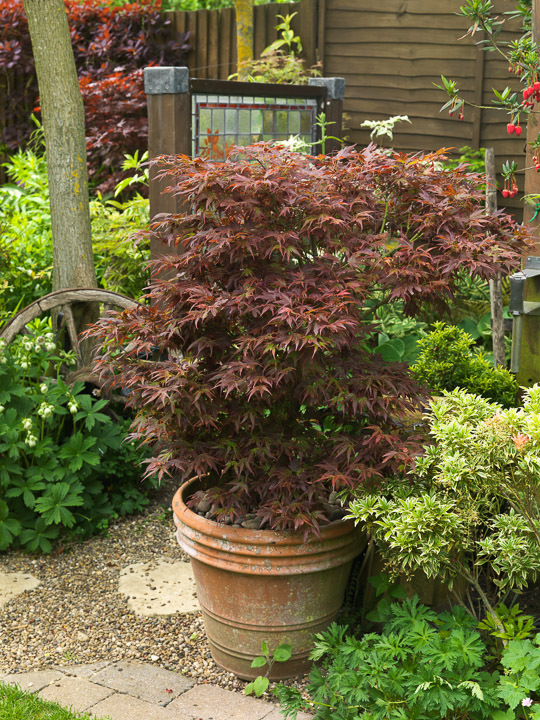 For a small garden with so few flowers to be as charming as this one is no mean feat. 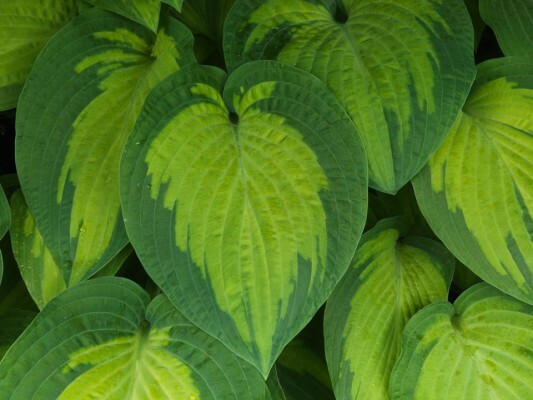 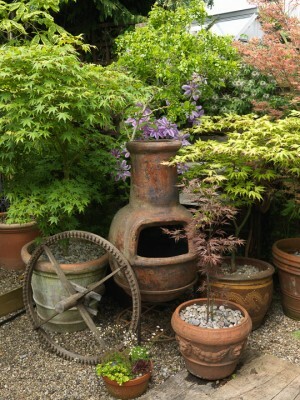 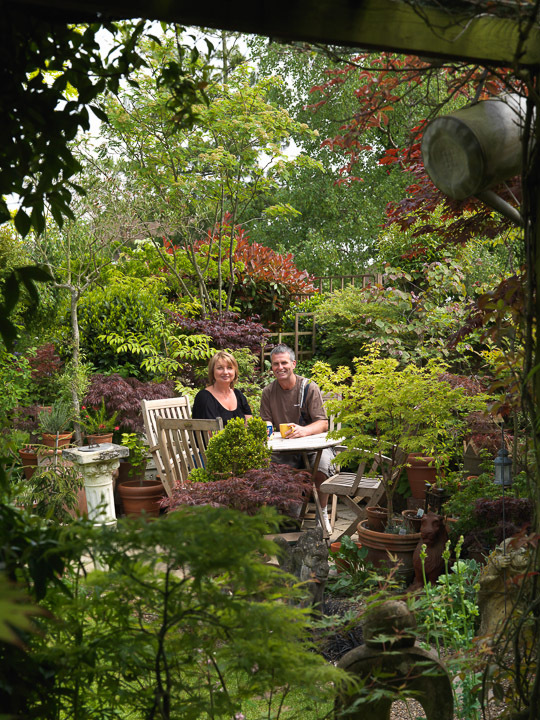 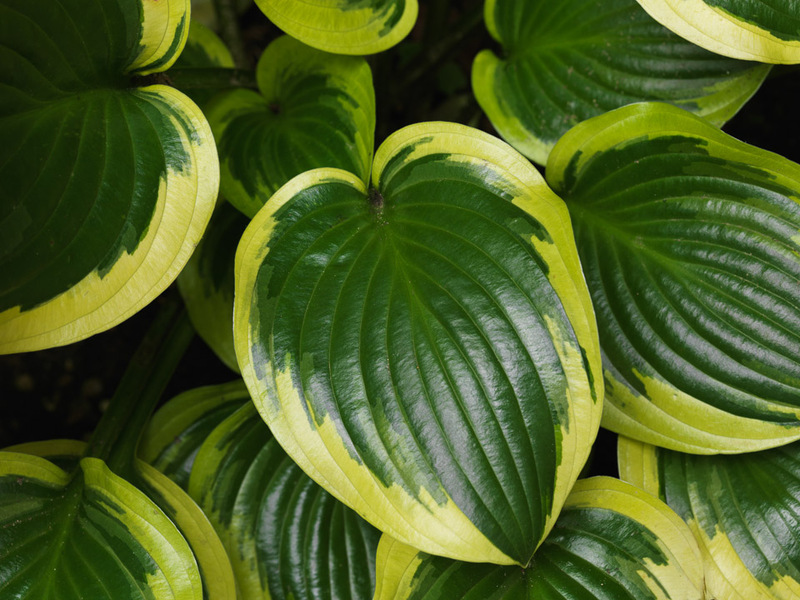 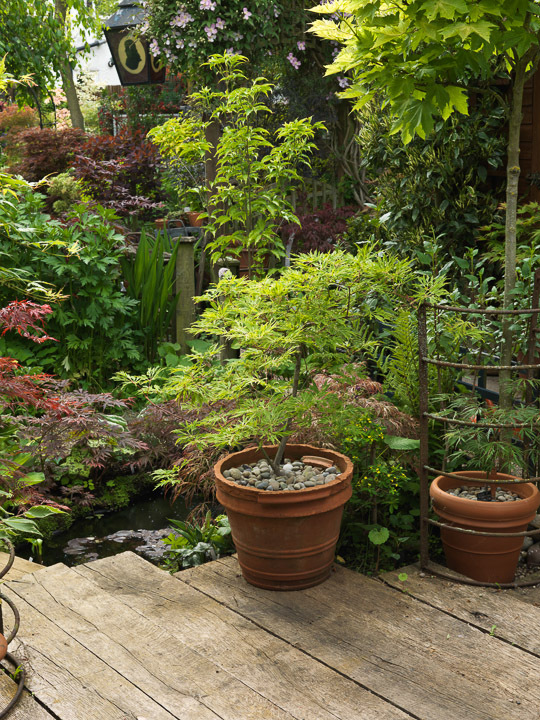 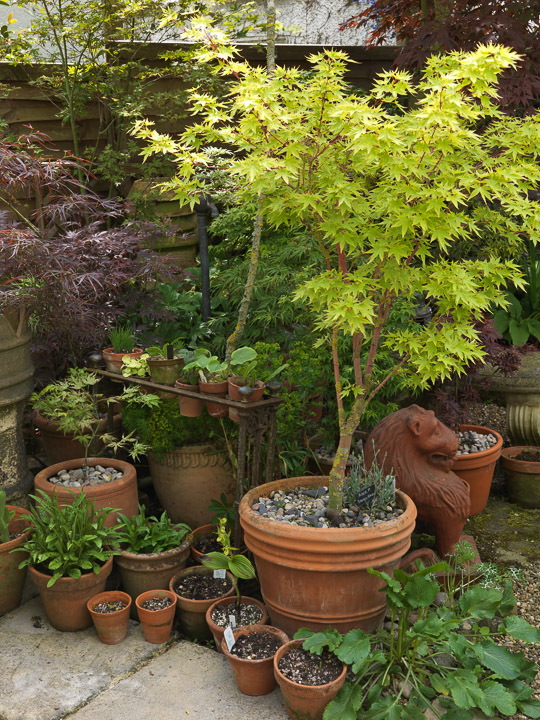 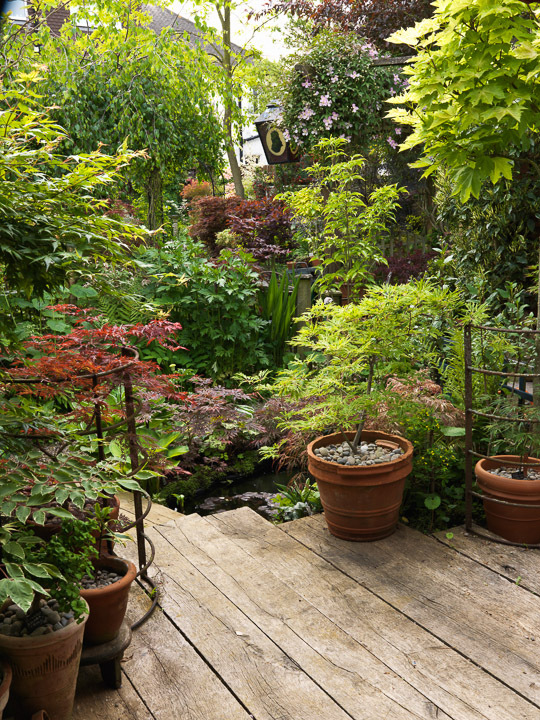 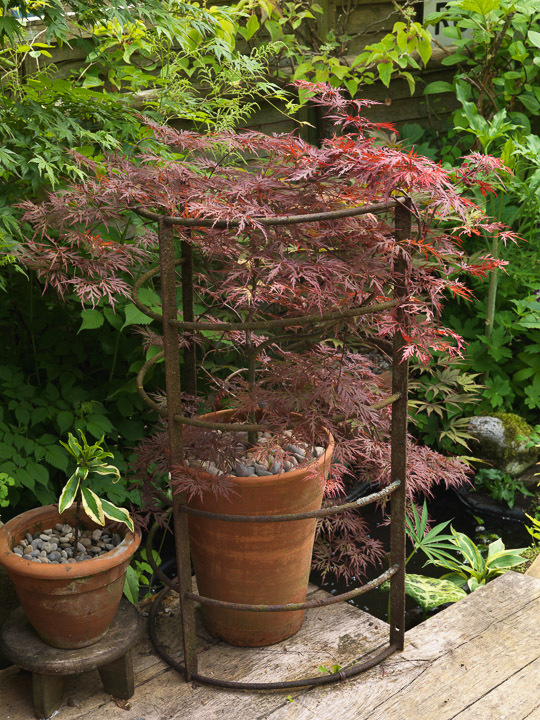 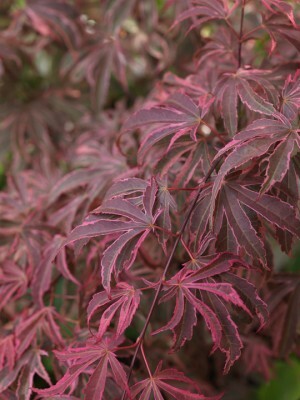 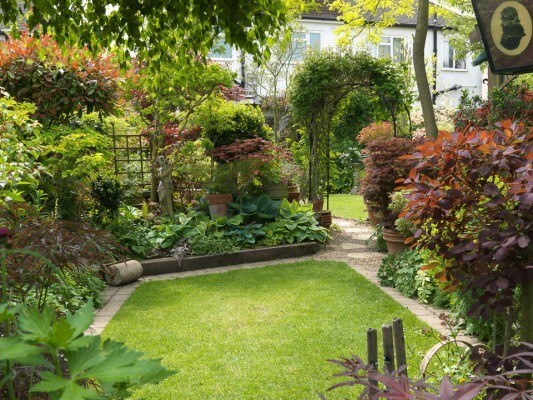 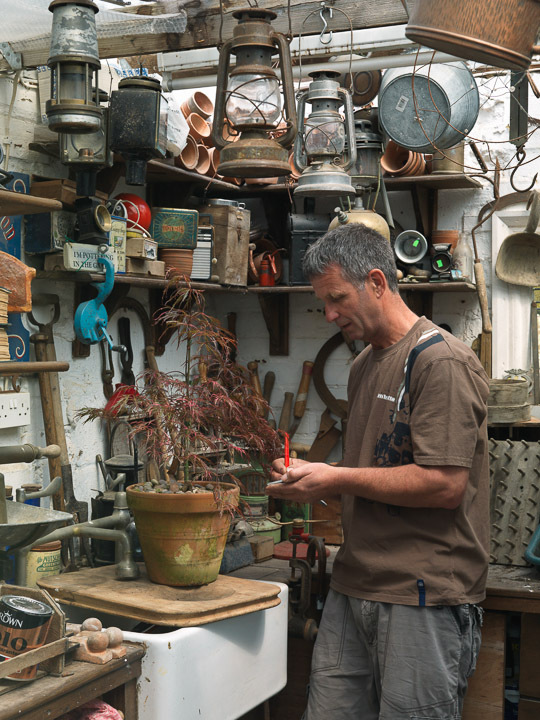 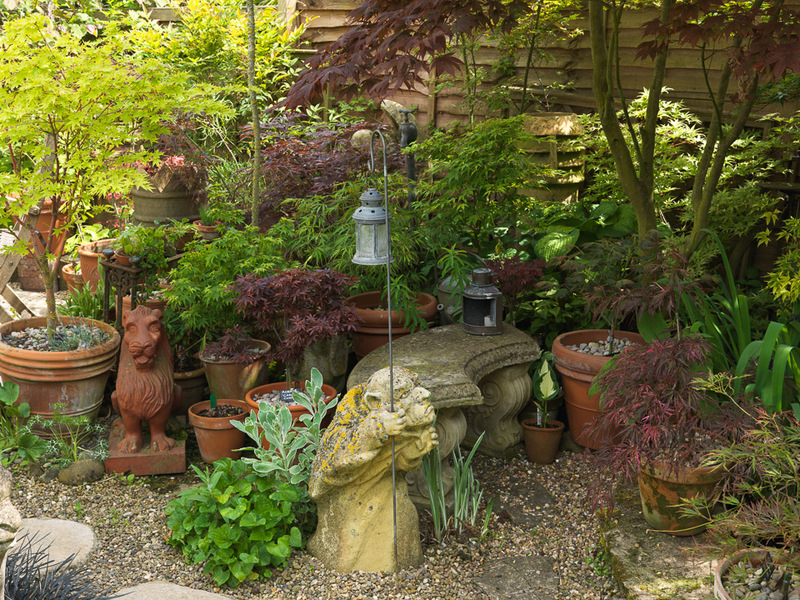 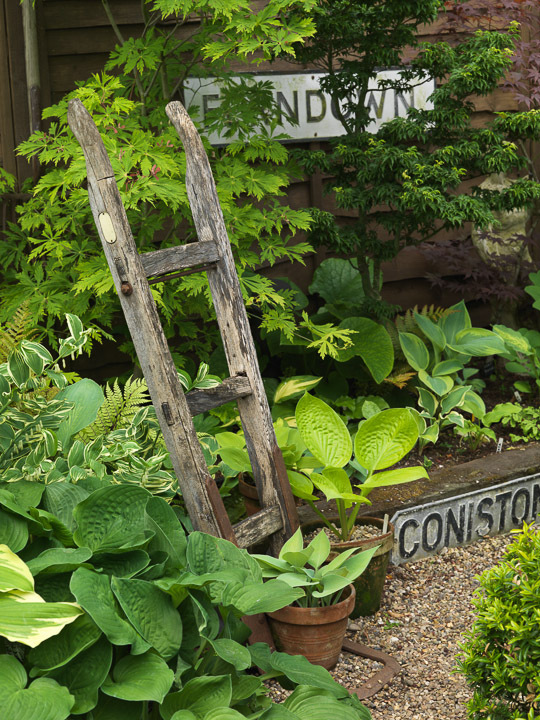 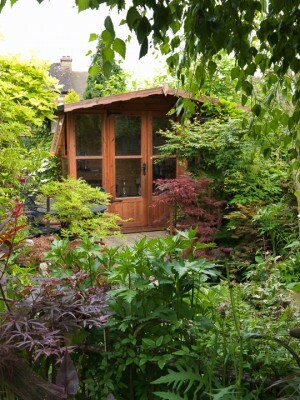 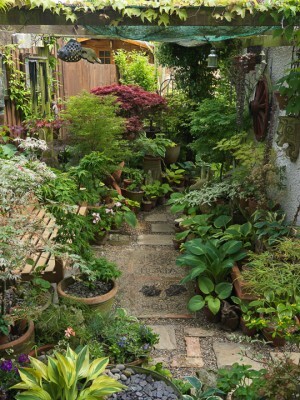 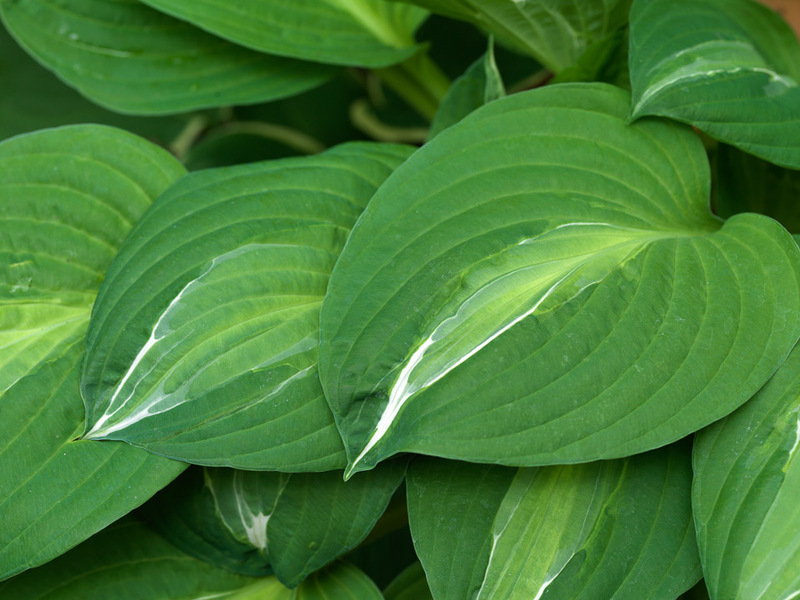 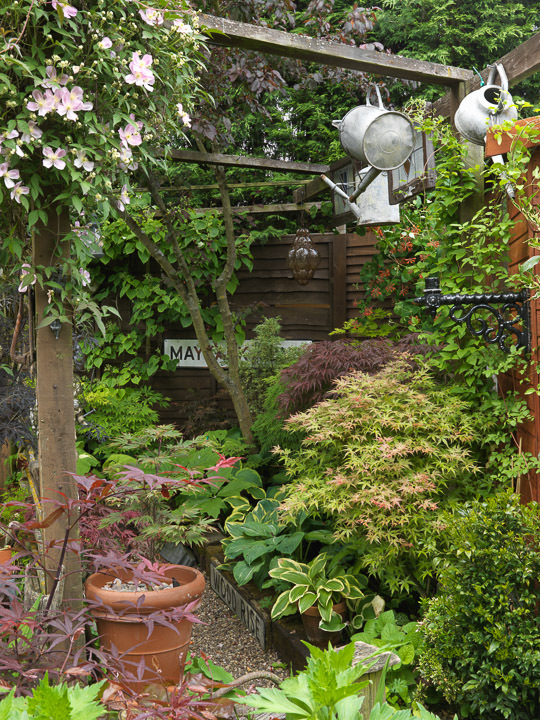 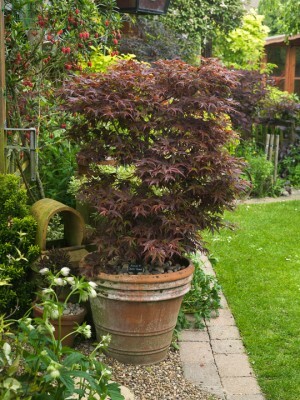 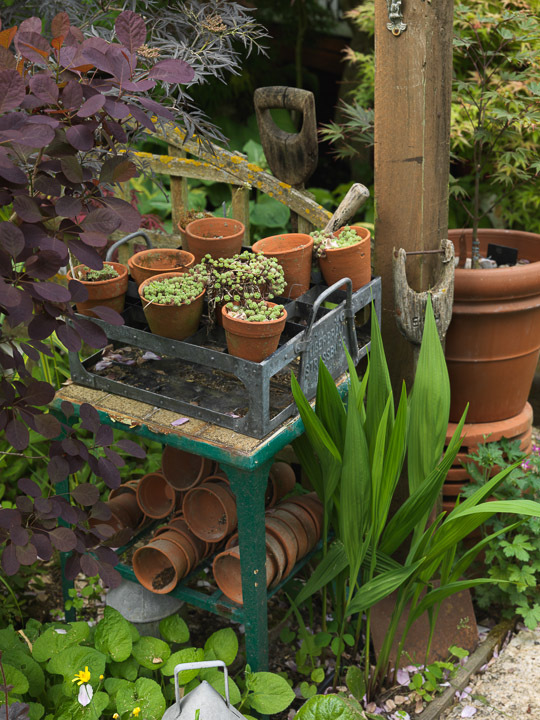 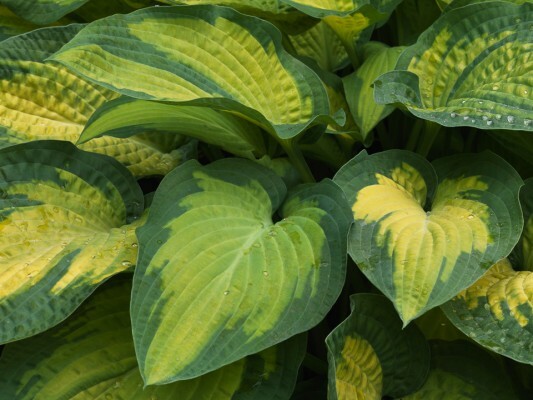 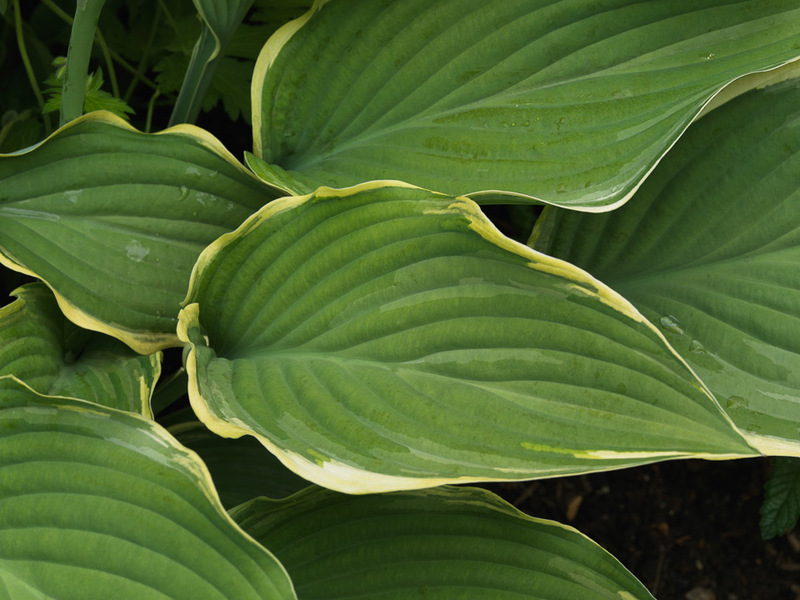 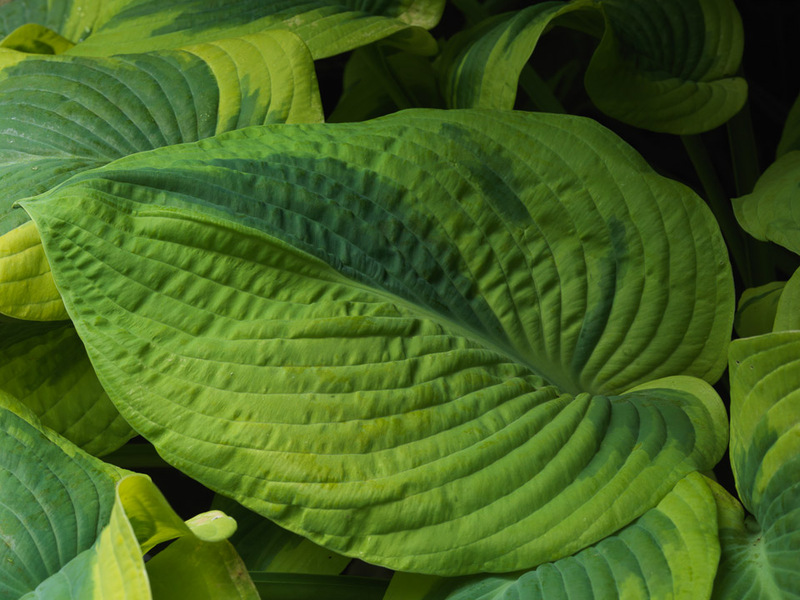 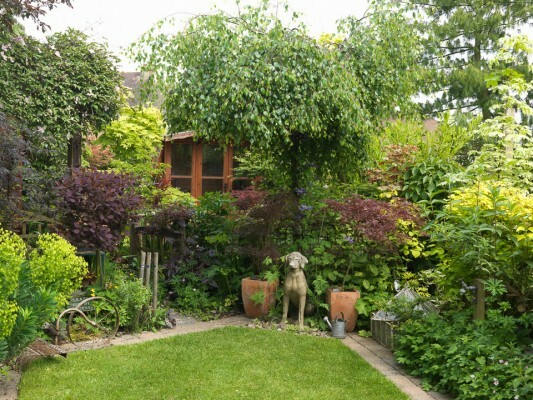 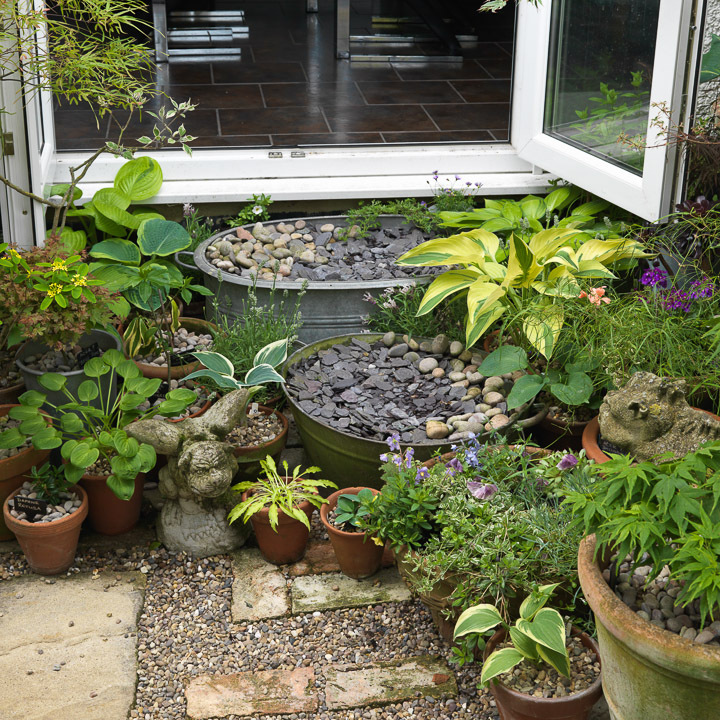 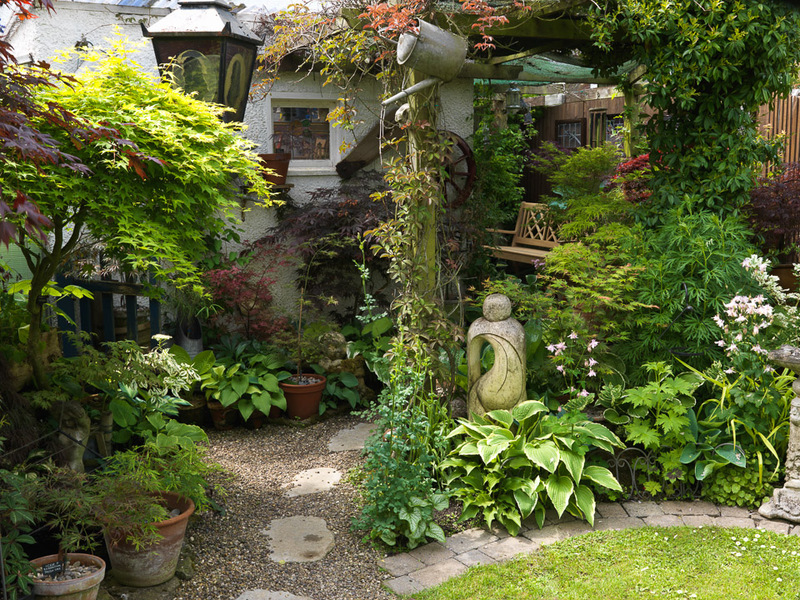 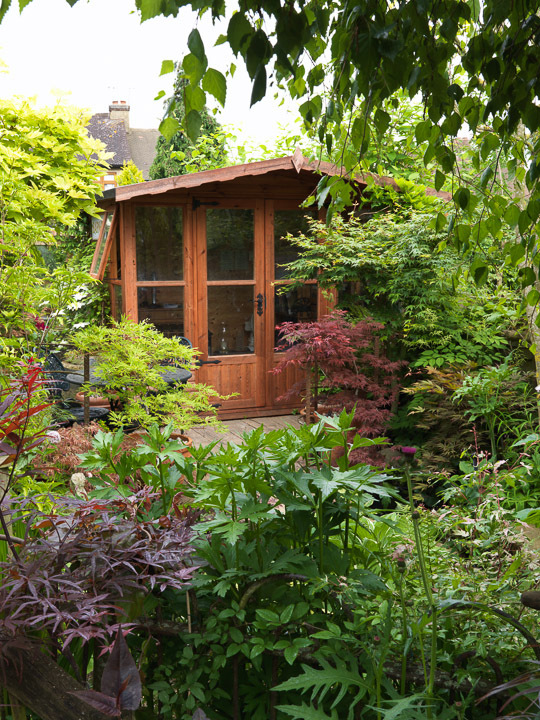 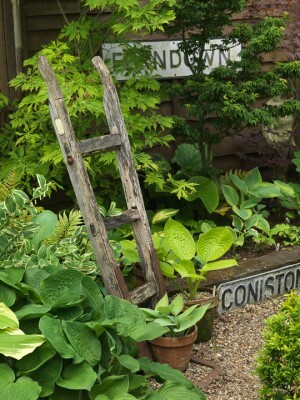 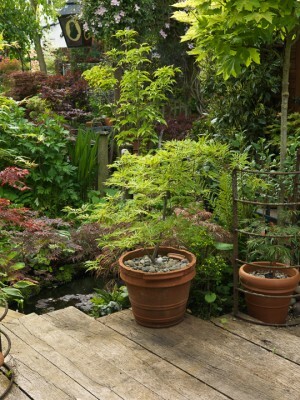 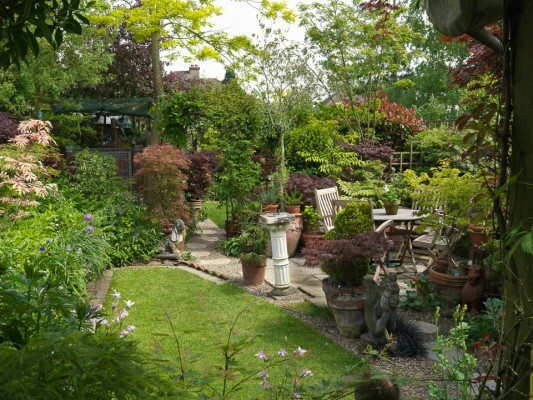 ‘It’s fair to say that we both prefer foliage to flowers, and grow scores of hostas and maples — it’s amazing the variation in leaf colours and shapes between different cultivars of the same plant family,’ say the owners, Philip and Sharon. The plants are grown in pots and raised beds throughout the 28m x 9.6m plot which is divided into five distinct areas — two shady, sectioned-off pergola walks; a patio with seating beside a lawn and gravel bed; a second lawn bordered by plants; and a summerhouse overlooking a deck and small pool. 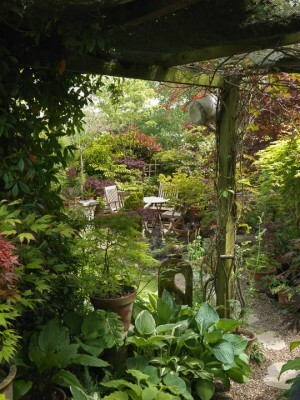 It's a far cry from the early days when the garden was so overgrown that they had to hack a way through.